Sainsbury’s has this week started trialling a new digital pricing display system that uses e-Ink technology rather than the traditional paper-based pricing tickets used in the past. 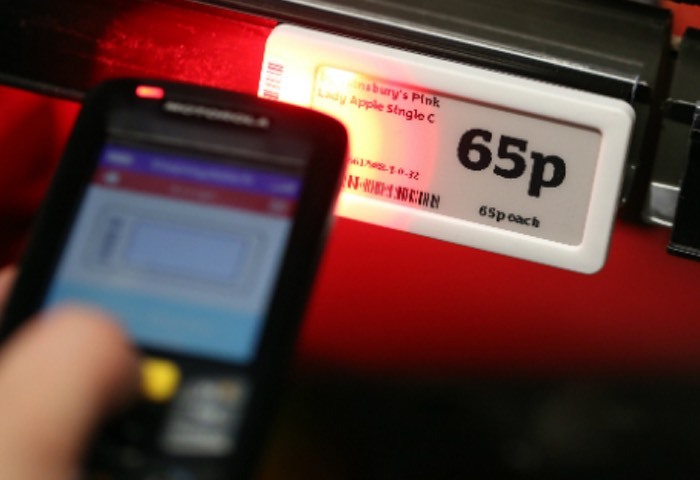 The new e-Ink digital price tags are being test at a Sainsbury’s London store and enable the prices to be updated for products even quicker by staff, as well as reducing the amount of paper waste. The trial is currently in place at the Sainsbury’s Shoreditch Old Street Local and will provide Sainsbury’s some insight into the system before deciding whether or not to roll out the new digital e-Ink pricing system to other stores throughout the UK. For more information on the new e-Ink technology jump over to the Sainsbury’s website for details.